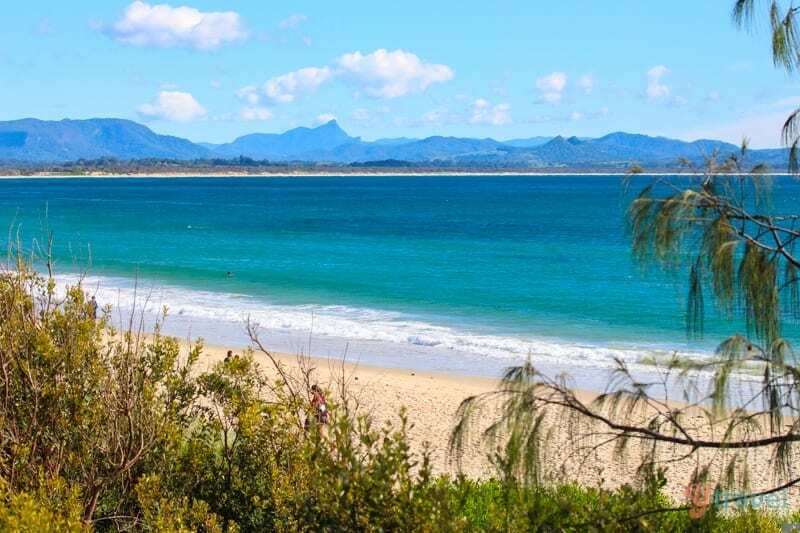 The Byron Bay Beaches are legendary in the surfing community. 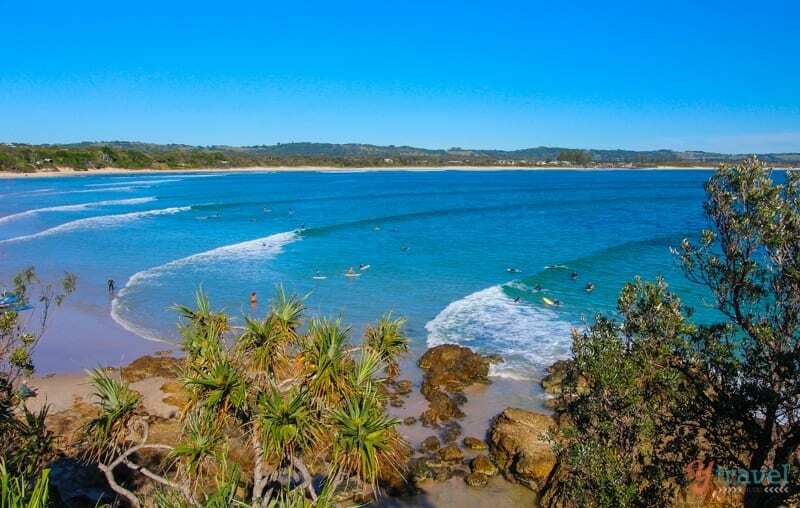 They draw thousands from around the world who come to ride their waves, many never leave, and I don’t think you could get any more Australian than learning to surf at Byron Bay. 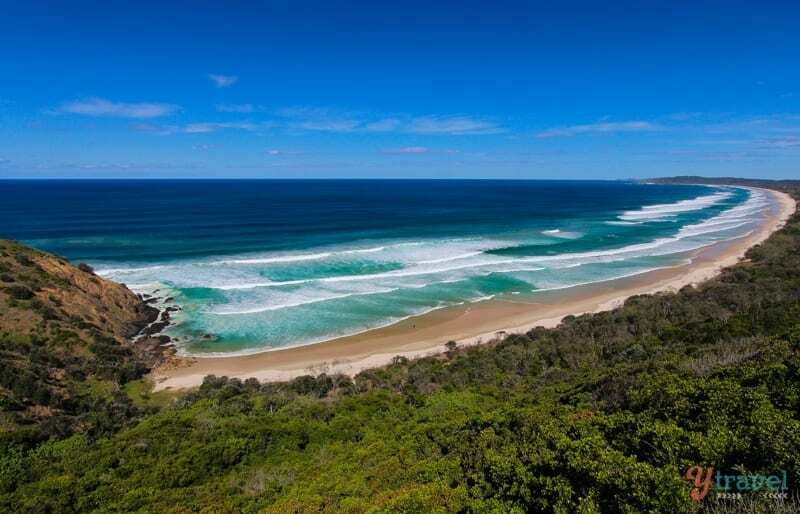 Australia is known for its beaches, we have over 10,000 of them, and Byron has some of the best in the country. 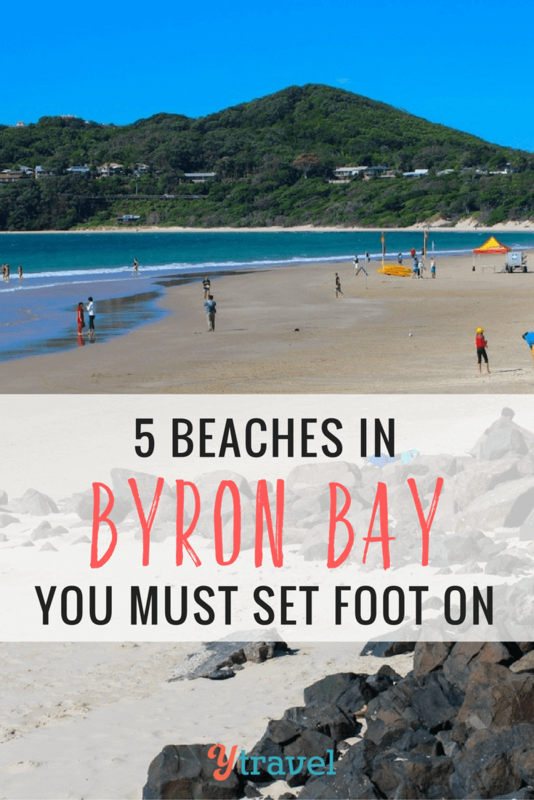 But you don’t have to be a surfer to appreciate the amazing beaches on offer in Byron. Just taking a swim, a walk or celebrating one of the magic sunsets with a cold drink is enough to cast that spell over you that many can’t escape from. I’m not a surfer but I love the beaches in Byron and can see and feel the excitement of the guys and gals who get up at the crack of dawn to hit the waves. For me, I appreciate that they’re clean, sheltered, family friendly and not overdeveloped with high-rises. And ranging in temperature from 18°C in the winter to 26°C in the summer, this is my kind of beach that you can enjoy all year round. What are you waiting for? 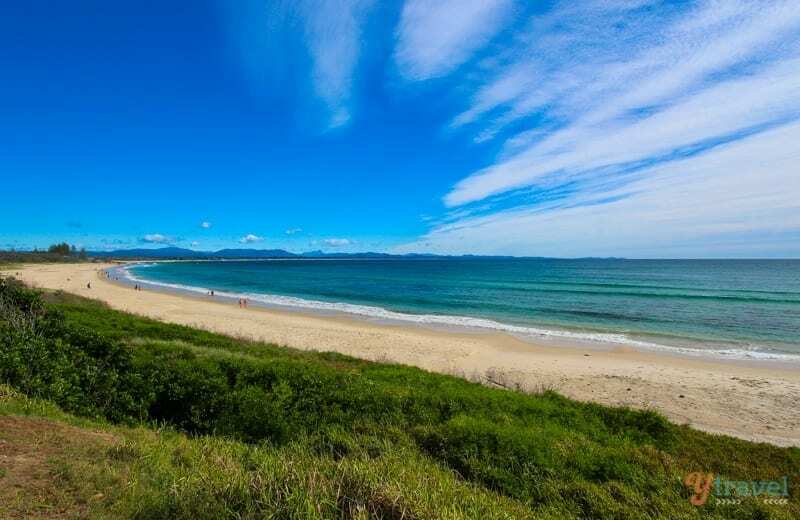 Check out these 5 Byron Bay beaches below. 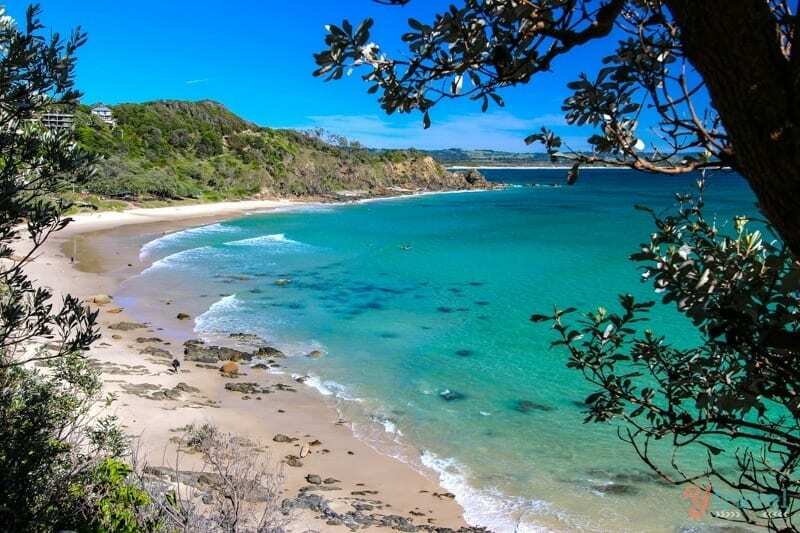 Need More Inspiration for Byron Bay? They don’t call it Main Beach for nothing. 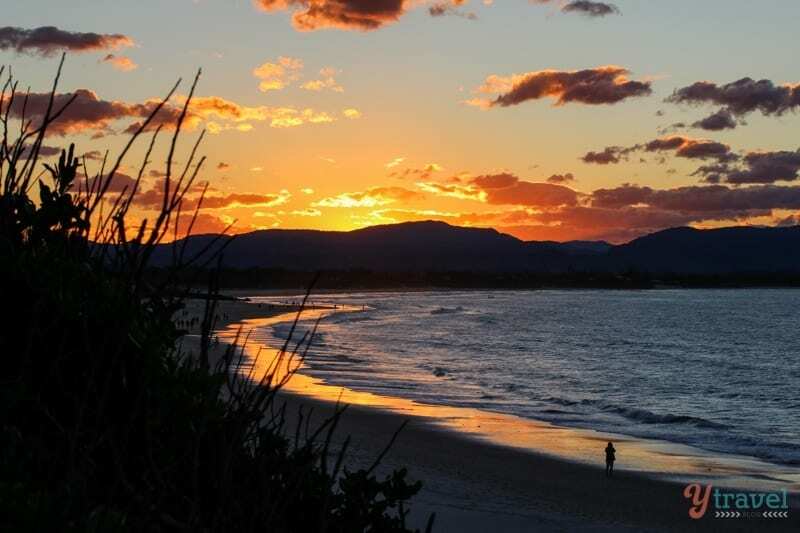 It’s where it all happens in Byron Bay – well, most of it. It’s the closest beach to town and the most popular. 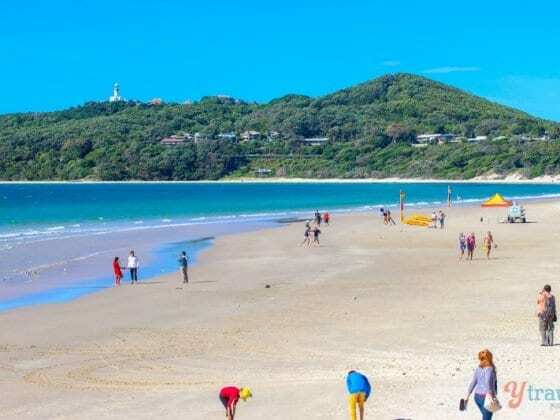 If you’ve ever seen a postcard of Byron I bet it was of Main Beach. With a north-facing curve comes a popular surf break, soft white sand, turquoise water, a surf patrol for the kids and INCREDIBLE sunsets. 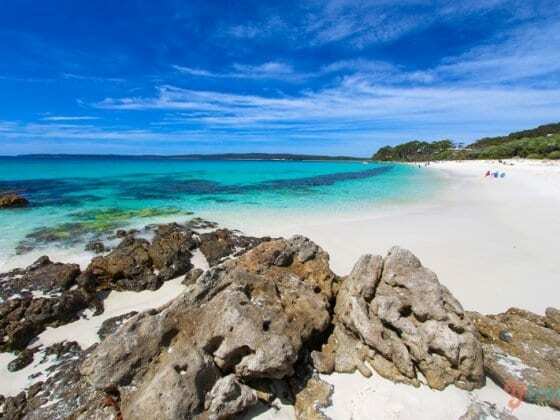 Main Beach is the quintessential Aussie beach. 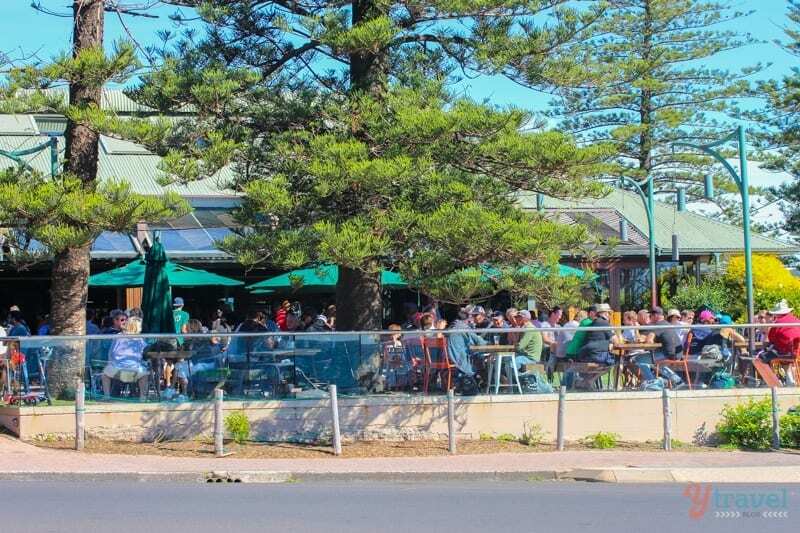 Not to mention it has the iconic Byron Lighthouse keeping watch from the distant headland, which you must walk up to, and the legendary pub across the road, the Beach Hotel which is great for a Sunday session. 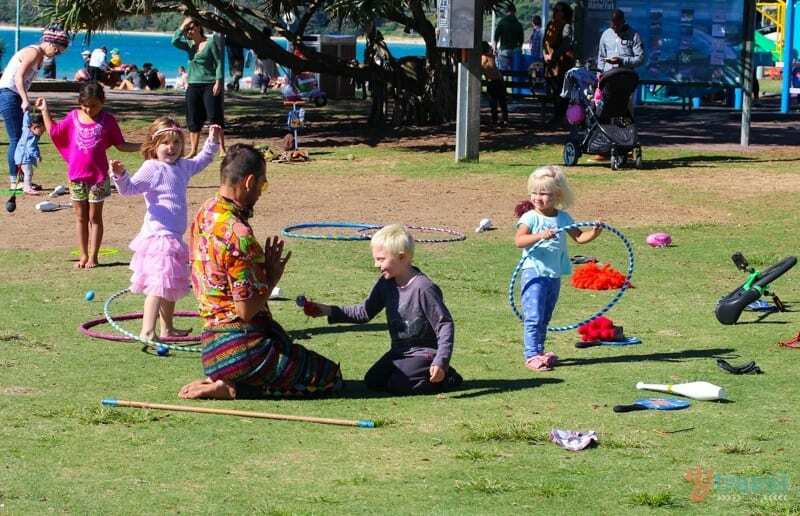 What else do you want in your Byron Bay Beach town? We walked it daily, jumped in the waves, sat on the rocks, built sandcastles and played at the playground. 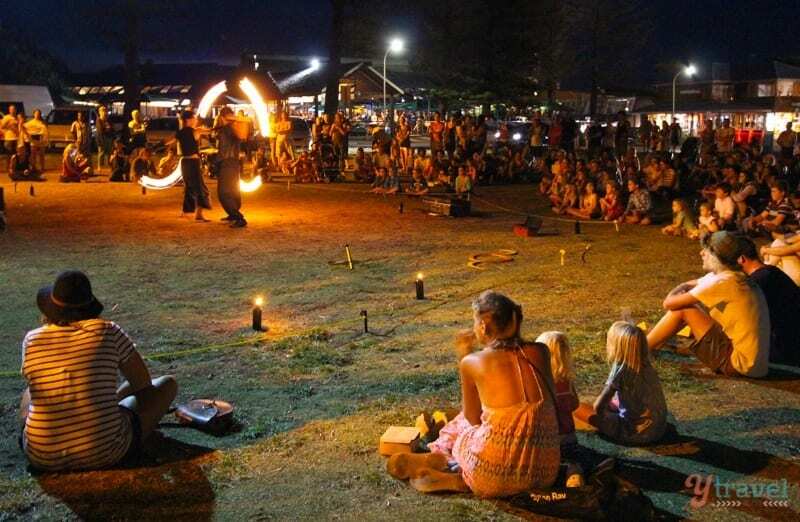 At night we ate takeaway fish & chips from Mongers, burgers from BayGer, or $5 pizzas from Domino’s and sat on the grass as the sun went down and watched the fire dancers – great free entertainment for the kids (they perform for tips). Around the bay to the east is Clarkes Beach. This is where we stayed in our camper trailer at Clarkes Beach Holiday Park and stumbled onto the sand every morning. What an awesome spot to sleep. 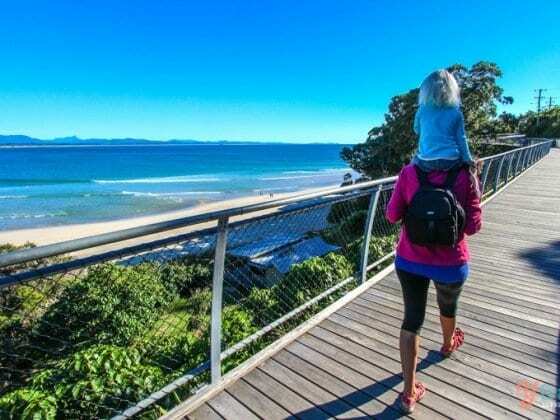 It’s only a 10-minute walk to Byron Bay town from Clarkes Beach and another friendly place to swim with your kids, and less people than Main Beach. 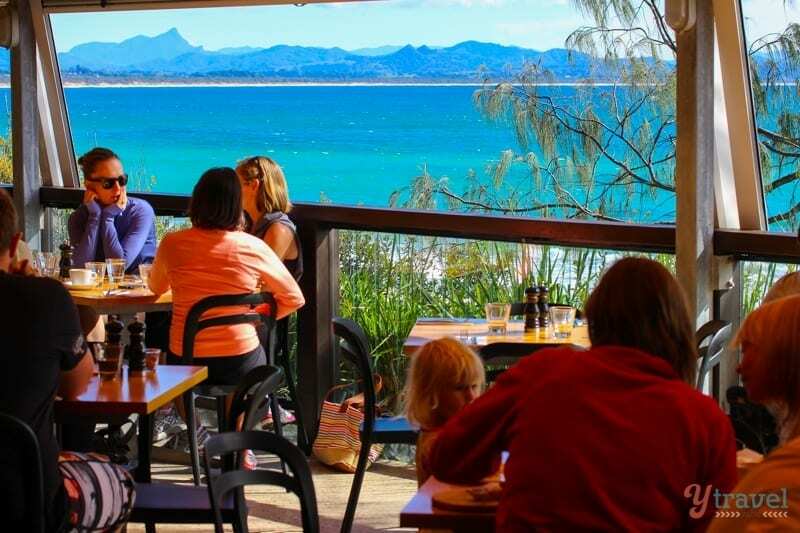 There’s some rocky areas for snorkeling and don’t miss the breakfast views from the Byron Beach Cafe. At the end of the bay further east from Clarkes Beach is The Pass. We climbed up the Fishermans Lookout which is a set of stairs with a viewing platform and watched the early morning surfers carve up the waves. The Pass is a famous surf break and almost inspired me to grab a board and have a lesson. The surfing looked awesome with long smooth waves which seemed like they went all the way into Clarkes Beach. 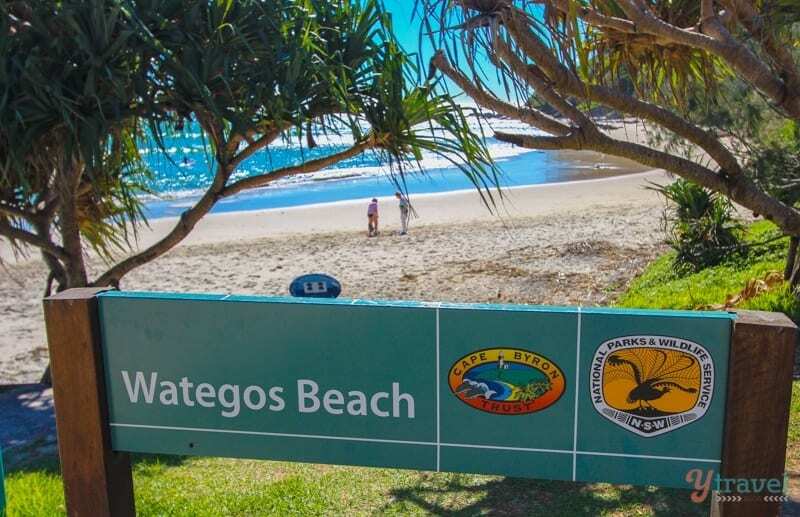 It was love at first site for Caz and I when we first set eyes on Wategos Beach twelve years ago, and it’s still on our list of best beaches in Australia and one that we tell everyone about (sorry locals). 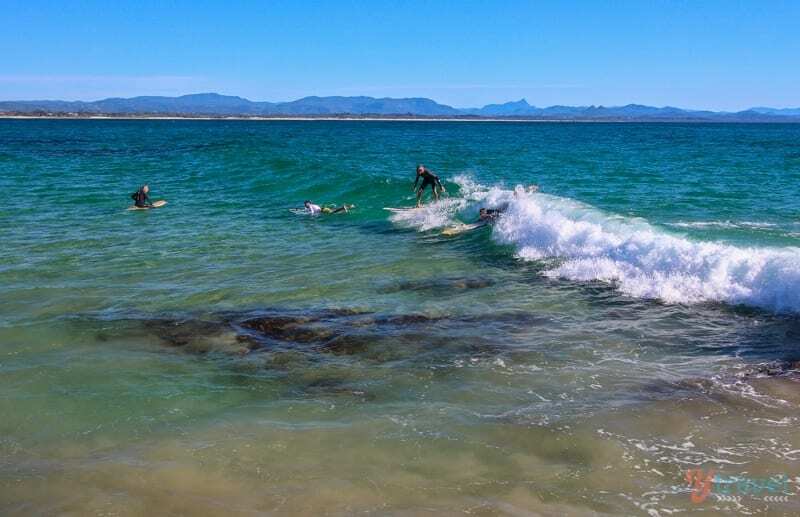 Crystal clear water, rocks dotted along the sand, gentle rolling waves perfect for the longboarders doing their thing, and it’s sheltered and safe for the kiddies. 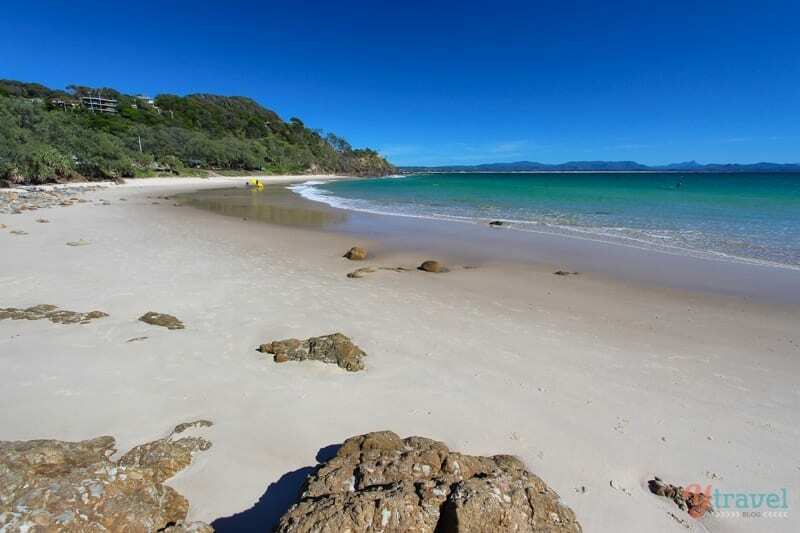 We never visit Byron Bay without going to Wategos Beach. If you don’t ride a longboard at least dive in the water and then make use of the free BBQ’s or the cafe on site and enjoy paradise. A little further round over the path from Wategos is Little Wategos. Go here if you’re looking for a lovely sheltered spot for snorkeling, sunbathing or swimming. I’ve only looked down upon Tallows Beach from the Lighthouse walk we did, which is an awesome view by the way, and Tallows is a long stretch of beach all the way to the south. 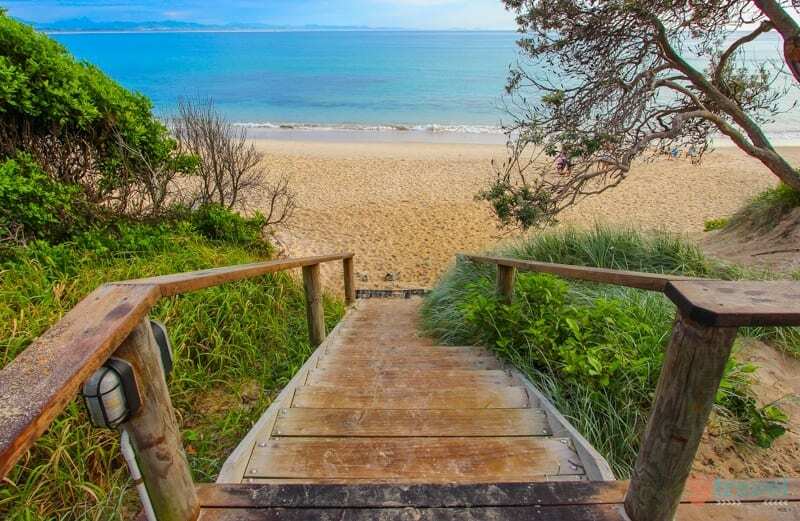 Apparently Tallows Beach is a good spot for some beach fishing, whilst Cosy Corner which is tucked just below Cape Byron has a good surf break in favourable conditions. But be warned, we actually saw a surfer being rescued who was getting swept out to sea in the strong current around Cape Byron whilst we were up at the Lighthouse. We stayed at Clarkes Beach Holiday Park. Book your rental car here through RentalCars.com They are the world’s biggest car rental booking service that compares all the major brands like Hertz, Avis, Alamo, and Europcar. 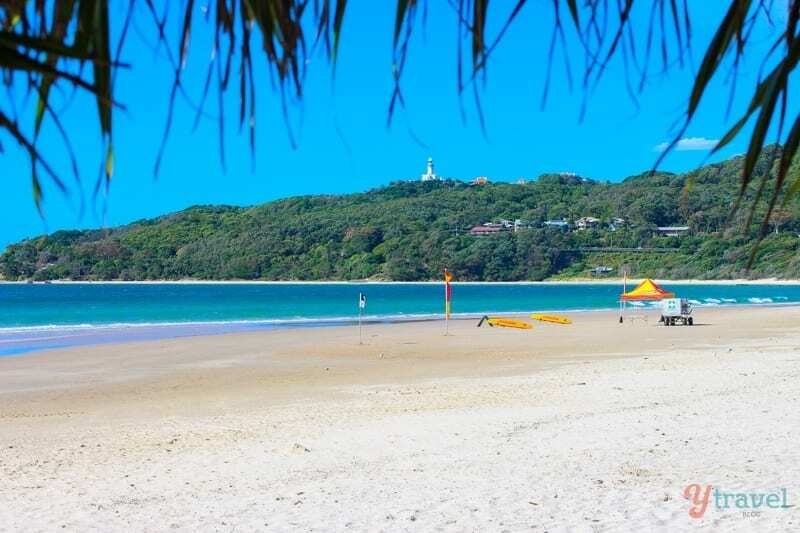 Being a Gold Coast girl I love to day trip to Byron for it’s laid back lifestyle and gorgeous beaches. 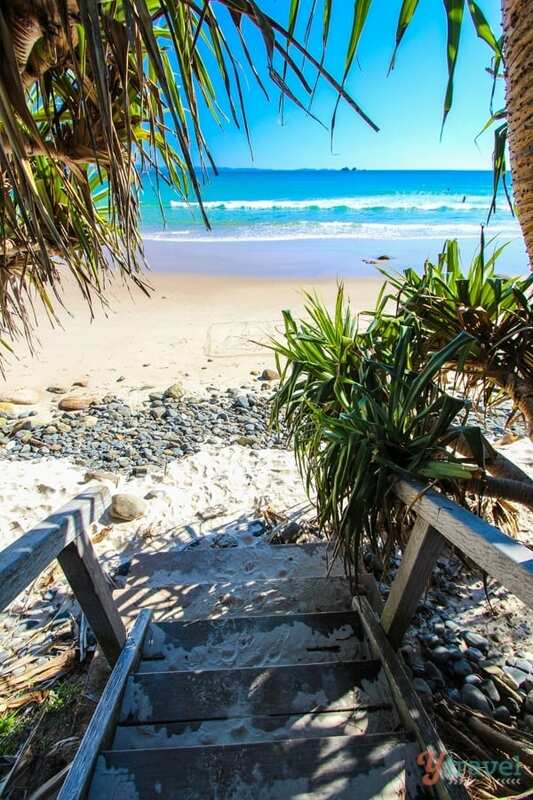 I love Wategos Beach and the walk up to the Ligthouse is stunning. 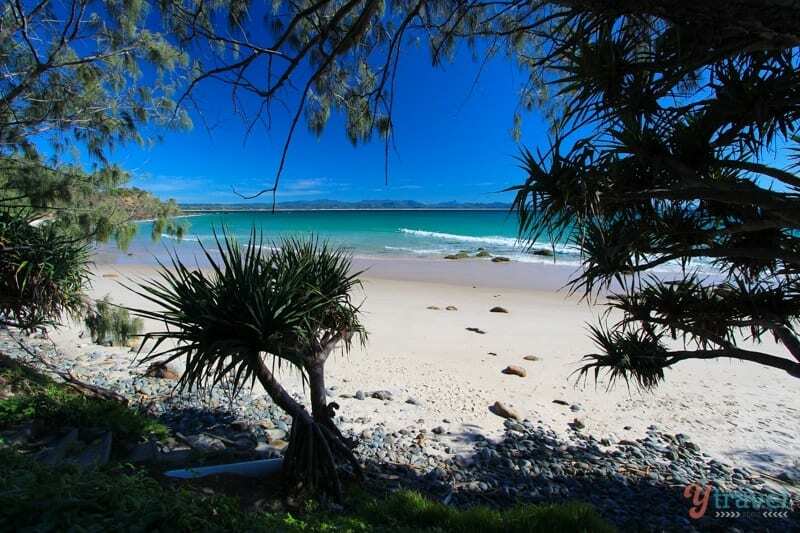 However Broken Head about 20 minutes south of Byron is my absolute favorite beach to really getaway. Thanks for the tip on Broken Head Kathy. 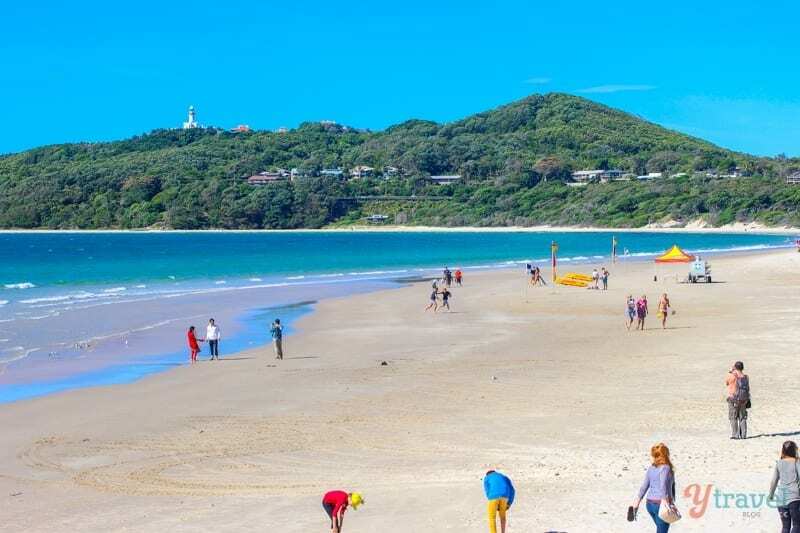 And you’re lucky you have such easy access to Byron from the Gold Coast! 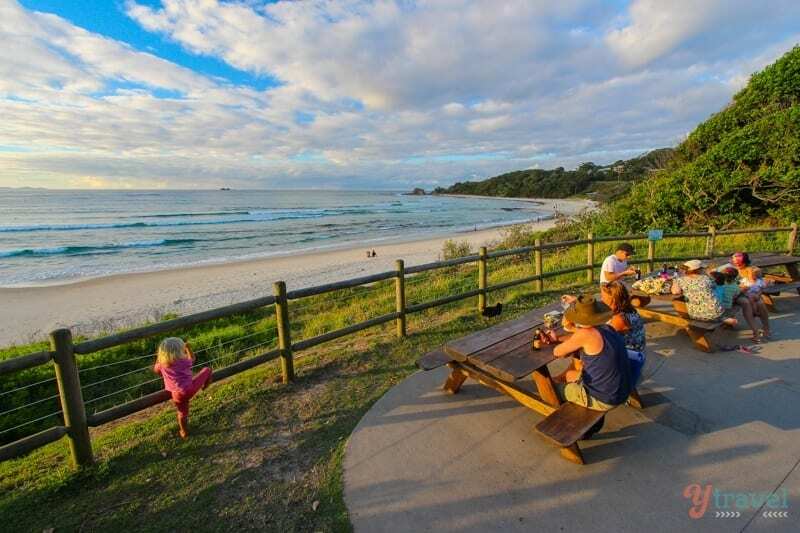 Byron Bay is such an amazing small town, i stayed here so long while I was traveling in Australia, I loved everything about the town. 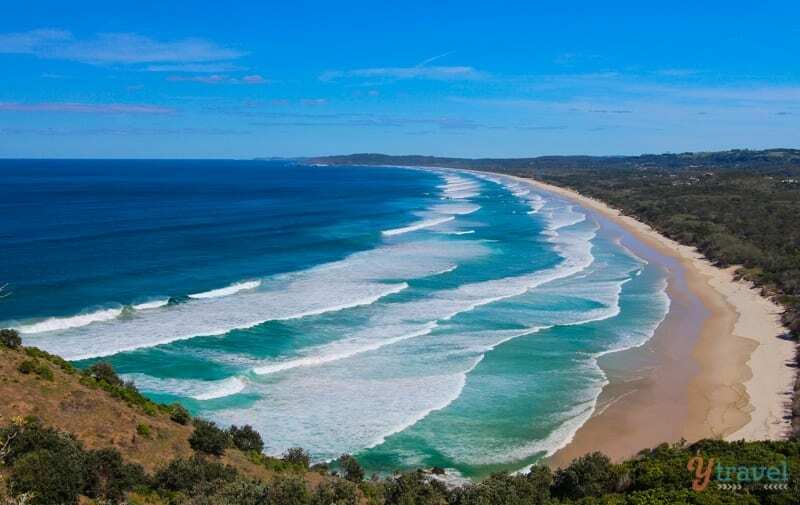 Byron Bay is one place I haven’t been to yet in Australia. 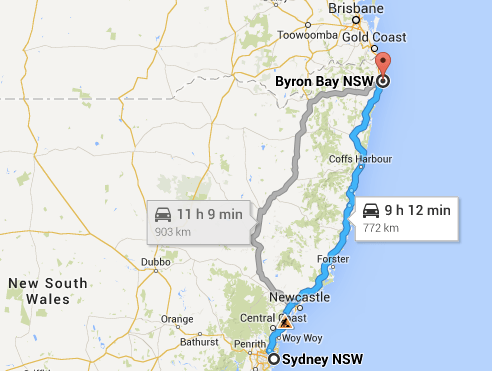 I’ve done the coastal road trip from Melbourne to Sydney but no further. Next one must be from Sydney up to Northern Queensland. Tallows Beach looks amazing. I love fishing at Little Wategos !